A gift for sports fans it is. Let me tell you briefly about the plot. 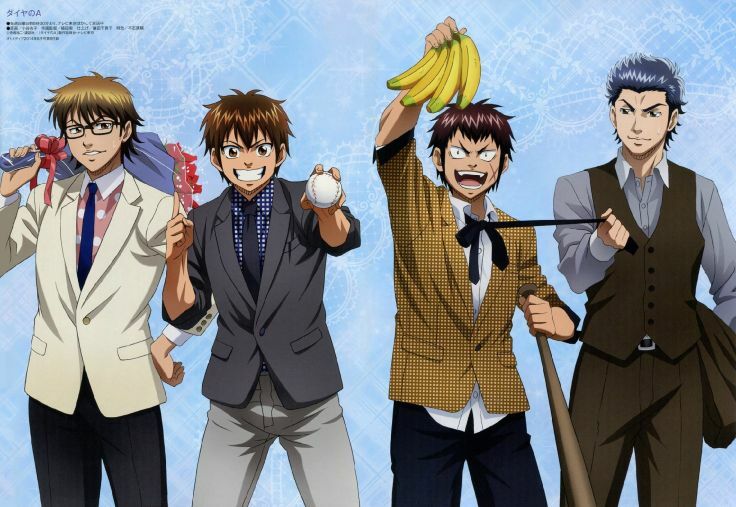 Sawamura is a pitcher who joins an elite school with a brilliant catcher named Kazuya Miyuki. Together with the rest of the team, they strive for Japan's storied Koushien championships through hard work and determination. 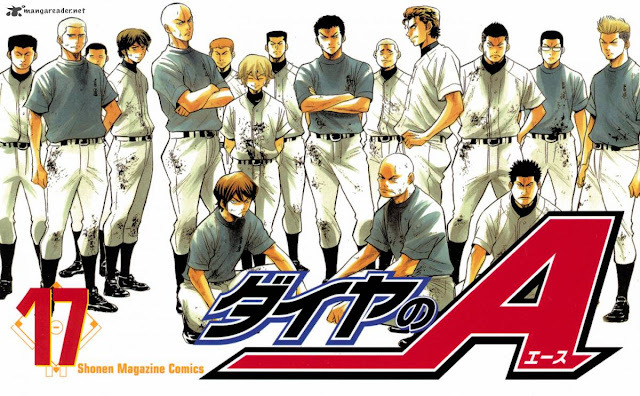 If you think this anime is too mainstream, well, I am glad to say that this is not your generic shōnen baseball manga. Ace of Diamond is actually one of the top-selling mangas worldwide. When the announcement of Season 2 was released, I almost teared up LOL. This is how much I love DnA. I am especially looking forward for more Sawamura, Haruichi, and Furuya! One thing that the story always provides and excels at is: SUSPENSE. DnA knows hows to build up suspense leading up to the final scene in every episode, especially in the later episodes when they're in the Koshien qualifying matches. I even read the manga after watching the episodes and I have to say it was REAALLY good. DnA is probably one of the bestsports anime that I've come across yet. Although hailing from a country where Baseball is scarce, this started out to be a pretty interesting anime. So as their fan, I am really looking forward for a season 3.